Our Trap n Chill team is looking to promote both established and up and coming artists. This page features exclusive interviews with talented artists to highlight their music careers, latest releases, and more insight on their tracks and their passion for music! Visit the blog page to get show, song, album reviews and so much more! We had the opportunity to interview KILO on as well as release his debut single, Back On My this week, be sure to click here to read the full interview; get to know KILO a bit more, and learn about what he’s got coming for the rest of 2019! We were lucky enough to have the opportunity to interview rising talent Deerock about his career and his latest release. Hailing from Long Island and a recent grad from JMU Deerock has channeled his passion for music to a budding career. Click the picture above to read the full interview! We had the opportunity to interview California based artists Jay Bird who recently released a song with us “The Reason” which is an amazing catchy future bass song with great vocals that will leave you wanting more. take a look into what drives him to make music, and get to know more about the man behind the music! Click the picture to read the full interview! We got the opportunity to Interview up and coming producer, Squired, get to know more about him, his influences, and what he’s got going on as the year is coming to an end! We had the opportunity to get to know the amazing producer, Besomorph a little better with an exclusive interview! He’s had releases with some of the most respected labels in trap & bass music and is definitely an up and coming heavy hitter you need to have in your playlists! We had the chance to be the first interview Billy Sang aka Sangarang, get a little more information on who he is, what inspires him, and the process that went in to creating his debut album, How Did We Get Here. With a successful album behind him we can not wait to see what’s in store for next year! Click HERE to read our full interview with Sangarang and be sure to follow him on Soundcloud, Spotify, and Instagram to stay uptodate with releases and get and inside view on what he’s up to! We got the opportunity to interview Jack Be after he dropped his most recent song 'Beauty Hurts' an absolutely beautiful song with such a well shot music video to go with it (all shot on vhs tape.... impressive right?) One, you're not gonna wanna stop listening to the song when you hear it (link in the interview) and two, you will definitely want to follow Jack after getting to know more about him. He's a talented creative and on top of having a beautiful voice and really great vocals he's got the work ethic to make it in this industry. After releasing a killer future bass track Clouds with us we had to get Shmittee on board for an interview! Be sure to click here to learn all you need to know about how he got his start, where his passion for the art comes from, and a get to know Philadelphia Based dj/producer Shmittee. Click here to listen to clouds on Hyplist! Be sure to check hyplist.io to stay up to date on the best music out right now! Missed Reaname McCoys 8 track ep release with us? Your missing out! Last month we released a dope ep with Realname McCoy and had an interview to get behind the music. We get a background on the project, his style of production, and how the whole thing came together! Be sure to check out the full interview here and follow him in to the summer because he's got so much more to come! With some incredible releases both originals and remixes under his belt Opvs is taking the music world by storm. An incredible rising talent he is an artist to keep on your radar! His music is always consistent and will leave you wanting more! 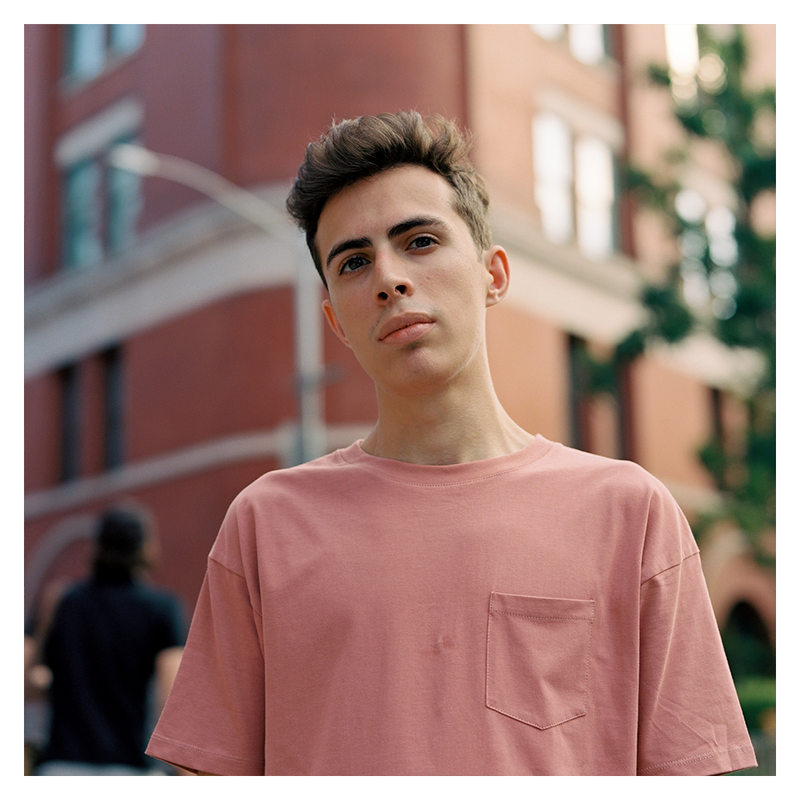 Be sure to click here to read our full interview with Opvs and if you're in New York on April 28th be sure to head over to the Mercury Lounge to hear him live! We were so happy to have VRS.US join the Trap n Chill family with his latest release Through My Clothes (VRS.US Remix)! The song features amazing vocals from Sammi Constantine, stunning production and absolutely killer future bass drops! BE sure to click here to read our full interview, get to know VRS.US a bit better, and to check out his release with us! Up and coming singer songwriter, Sammi Constantine is absolutely making a splash in the music industry. Since starting her career she's been killing it with her feel good vibe and beautiful vocals. Be sure to read our interview with here by clicking here to see where she got her start, to check out some of her music, and see what she has in store for the rest of 2018! With his debut track of 2018 released by Proximity LIONE is definitely off to a killer start this year! Be sure to read our exclusive interview with him as we discuss his background in music, how his new release 'Glimmer' came to be, and be sure to check out his new dope clothing line! Click here to get a glimpse into his creative process and jam out to his new song! After starting his own radio show, being featured in Diplo & Friends, Lazer Sounds on beats1, and releasing hes insanely good single, The Unknown we had the opportunity to interview the man himself... deVOLVE! Click here to read the rest of our interview and see what's going on in deVOLVE's world! With his new release CAROUSEL being released today we wanted to get an interview up with Aries! Be sure to head over to read the full interview here and check out his latest release as well as his youtube channel for some really creative beat flips and " made in 2 minute" videos! After releasing their debut EP "Animal" this past December, the Duo known as Naxxos have some big plans for the New Year. Click here to read more, see how the two met and what they have in-store for 2018! At only 17 he's already making waves in both the Soundcloud and YouTube community, click here for our interview with Galvanic and see what tips he has for up and coming producers! Click here to read the full interview and see what he's got in store for 2018!